Good news for smokers –at least of the electronic variety. U.K.’s Heathrow Airport has just opened its first indoor “vaping zone” for traveling smokers, reports the Telegraph . The new lounge, which is just 323-square feet, is operated by e-cigarette manufacturer Gamucci and located in the International Departures Lounge at Terminal 4–although you have to be 18 to be allowed in. 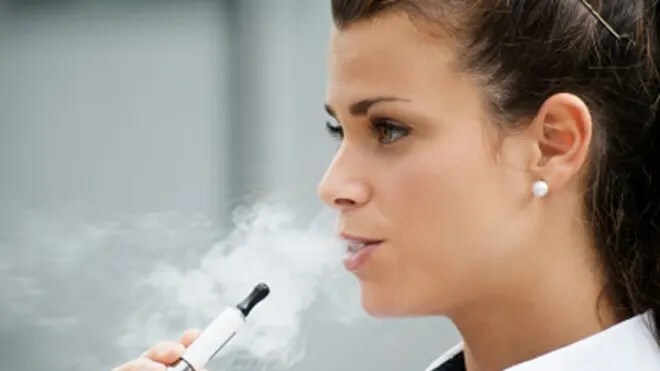 Electronic cigarettes are battery-powered devices that give the user a nicotine fix but produce odorless vapor instead of smoke. They’ve grown in popularity as more places ban tobacco smoke, and have been seen by some as a healthier alternative to conventional cigarettes. But anti-smoking advocates say there’s no research that shows “vaping” e-cigarettes is safe or that it can help people kick the habit. So far, Heathrow’s new vaping lounge doesn’t appear to be a problem. A recent report conducted by Skyscanner found that 57 percent of travelers would be in favor of more designated airport e-smoking areas. Of the non-smokers, however, they found that 42 percent favor a total ban on all types of smoking in public spaces. Nearly 21 percent of adults in Great Britain are smokers (compared to 19 percent of Americans), which means that we may see more of these vaping zones popping up in the near future. E-cigarettes are currently banned on all U.S. airlines, but have been sold on commercial European flights. For anyone who still needs to light up the old fashioned way, it’s outside for you, although Heathrow does have a designated smoking zone. ← Are you a window flier or aisle seater?